Charitable category is a classification of a cause, advocacy or philanthropy activity, such as the arts, education, environment, animal rescue, homeless services, human rights, disaster relief, various segments of health, etc. 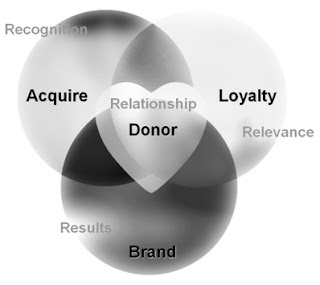 Your organization’s core mission falls into one charitable category. What is it? “Brandraising while Fundraising” is the process of making your charity the one people think of first and feel the best about in your specific charitable category, so they will make a contribution. You must thoroughly understand who the other key organizations are in your charitable category, and how your charity can differentiate itself from these other organizations. Your organization’s brand is the essence of who you are . . . it’s the sum total of all attitudes, perceptions and beliefs about your charity. What do people think of or say when they hear the name of your nonprofit? Nonprofit brands run into trouble when they don’t understand their charitable category. Furthermore, some organizations believe their charity falls into multiple categories so they resist positioning themselves in one specific category. This is a mistake. Any good book on branding will tell you that you can only be based on one thing. Our minds work hard at compartmentalizing and filing things away into long-term memory. If your message is diluted and/or unfocused, it will end up in the mind’s mental trash compactor, also known as our short-term memory. The best nonprofit brands today are built on two things: first, doing excellent and trustworthy work and second, presenting the same single consistent message over many years. Brands that follow these two guidelines have made relevant connections with people; your organization must become relevant because no one wants to be considered the alternative. Many great people of our cause have their nose to philanthropy’s proverbial grindstone, vigorously crafting the next fundraising idea that will fetch the most money. Unfortunately, some of them never look up enough to ensure what they finally produce supports their organization’s brand and positioning.